“We could probably avoid premature death, severe illness and reduce the costs if men sought treatment earlier and went to the primary care instead of to specialist care”, says Ingrid Osika Friberg, an economist and development manager at Västra Götaland Knowledge Centre for equal care. Ingrid Osika Friberg is a PhD student in health economics at the Department of Social Medicine and Epidemiology (EPSO), at the Institute of Medicine. She has studied how women and men of all ages consume health care, where in the care they are found, visits and hospital days, and what healthcare costs. She has focused on three levels of care; primary care, specialist care and hospital care. “Overall women’s health care costs 20 percent more per capita than men’s because women seek more care”, says Ingrid Osika Friberg. When all care related to reproduction was lifted out of the material, half of the differences in costs disappeared. The data was then adjusted further – disorders of the reproductive system, such as prostate and breast cancer, was removed from the material. By then eight percent difference in cost remained. 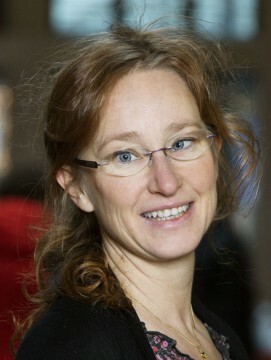 For women to stay healthy, both more research and major changes in society are needed, according to Ingrid Osika Friberg. One clear result of the study was that men and women seek care at different levels of care. Men seek primary care at a much lower extent, compared to women. Overall, women make 58 percent more visits in primary care compared with men. Taking into account the gender-specific care they do 39 percent more visits to primary care. The study was published in the Scandinavian Journal of Public Health on December 9, 2015. Knowledge Centre for equal care is a unit within the Region Västra Götaland. The Knowledge Centre’s task is to draw attention to inequalities in health care and provide care operations support in overcoming the differences.